Mitsubishi is focusing these days, as so many automakers are, on its crossover SUVs. But it hasn’t forgotten the most exciting of its passenger-car nameplates that it’s left along the way. It’s just applying them to crossovers instead. 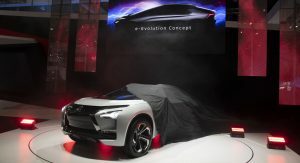 Like the Eclipse (Cross), and this – the e-Evolution concept. Look familiar? 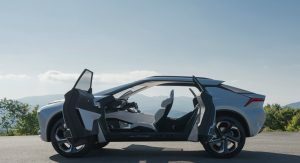 The Diamond-Star automaker first revealed the concept at the Tokyo Motor Show last year, and showed it in Europe earlier this year at the Geneva show. 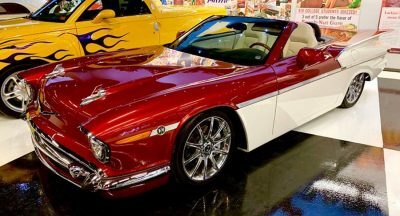 Now it’s brought to North America for the first time to display at the LA Auto Show. Borrowing (at least part of) its name from the legendary, rally-bred Lancer Evolution, the e-Evolution cuts the rather sporting profile of a high-waisted, low-roof crossover coupe. 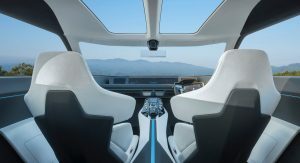 Its sharp angles, low overhangs, and swept greenhouse open up (with doors not unlike those on the Mazda RX-8) to a cockpit that’s as futuristic as it is racy, with a widescreen display across the dashboard behind a small, U-shaped steering wheel that looks like it could belong on a fighter jet as much as a rally car, with high-backed seat shells and two massive glass roof panels. 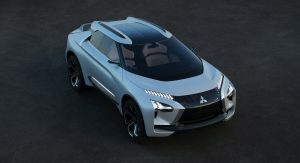 What really sets the concept apart from the Lancer Evo, though, arguably more than its higher-riding form, is its all-electric powertrain. 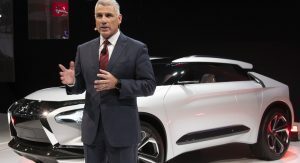 There’s an electric motor for the front wheels and two more coupled together for the rear to provide through-the-road all-wheel drive with electronic torque vectoring (which Mitsubishi calls Dual Motor Active Yaw Control) and Super All-Wheel Control. 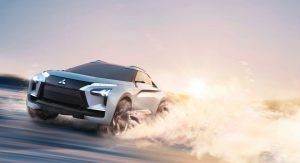 It’s a high-tech piece of kit, then, and one that signals where Mitsubishi intends to go as a manufacturer of crossovers and electric vehicles – but one with considerable rally experience behind it. With Tommi Makinen in the Lancer Evo, the Japanese automaker won the driver’s title in the World Rally Championship four years running in the mid-late 1990s, and with the Pajero, took overall victory in the Dakar Rally no less than a dozen times (including seven in a row). 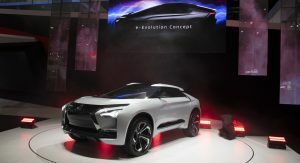 And whether it puts it into production (in some form) or not, the e-Evolution concept shows that it hasn’t forgotten its victorious past as it moves in a new direction forward under new leadership. It’s a really disgusting design… c’mon Mit, you could do it better! This like something that was in a design student’s portfolio, and somehow snuck in and became real. Everyone at Mitsu was just like “ok”. No, I get that. At this point, it isn’t the first time they show it. The concept doesn’t seem to resonate well with the public. It could be the use of the Evolution name, the outlandish design, or both. I just thought they would have prepared something more production ready for LA. 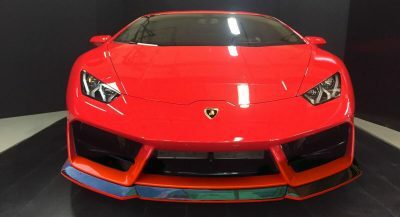 I think this is a very sharp and attractive design, i don’t care what anyone says. 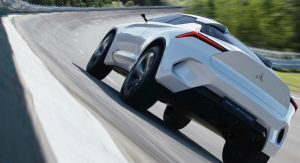 The e-Evolution concept is supposed to be a concept looking forward future in design language in their vehicles, connected technology, all wheel drive. 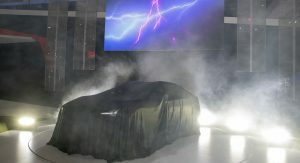 It’s Not a Lancer Evo successor in the sense of the imagination. 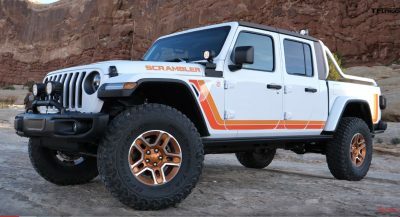 Looks cool but it also looks to have as bad of visibility as a camaro. Reminds me of the Jag I-pace and the Citroen Cactus. 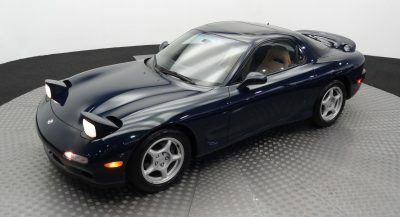 my first new car was a 1991 eclipse gsx. What set it apart from its competition of the day was like 50 hp. It blew away acuras and gtis that were in the same price range and the awd traction was amazing comparatively. If they could hybridize this concept and bring it to market with excess horsepower i would be in. 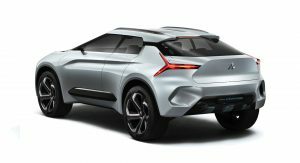 On one hand, I love the way this concept looks, particularly because of the long windshield and overall sharp wedge-shaped flowing design, but on the other hand I wish this could be a smaller subcompact hot hatch instead of a crossover. It just seems like they don’t get it. And this thing isn’t the answer. Ah right, this thing again. 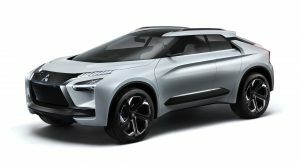 Mitsubishi must not have anything new to show because we’ve already seen this.